MIT neuroscientists working with researchers at Beth Israel Deaconess Medical Center, Brigham and Women's Hospital, and the Shanghai Mental Health Center have now identified a pattern of brain activity correlated with development of schizophrenia, which they say could be used as a marker to diagnose the disease earlier. "You can consider this pattern to be a risk factor. If we use these types of brain measurements, then maybe we can predict a little bit better who will end up developing psychosis, and that may also help tailor interventions," says Guusje Collin, a visiting scientist at MIT's McGovern Institute for Brain Research and the lead author of the paper. The study, which appears in the journal Molecular Psychiatry on Nov. 8, was performed at the Shanghai Mental Health Center. Susan Whitfield-Gabrieli, a visiting scientist at the McGovern Institute and a professor of psychology at Northeastern University, is one of the principal investigators for the study, along with Jijun Wang of the Shanghai Mental Health Center, William Stone of Beth Israel Deaconess Medical Center, the late Larry Seidman of Beth Israel Deaconess Medical Center, and Martha Shenton of Brigham and Women's Hospital. Before they experience a psychotic episode, characterized by sudden changes in behavior and a loss of touch with reality, patients can experience milder symptoms such as disordered thinking. This kind of thinking can lead to behaviors such as jumping from topic to topic at random, or giving answers unrelated to the original question. Previous studies have shown that about 25 percent of people who experience these early symptoms go on to develop schizophrenia. The researchers followed 158 people between the ages of 13 and 34 who were identified as high-risk because they had experienced early symptoms. The team also included 93 control subjects, who did not have any risk factors. 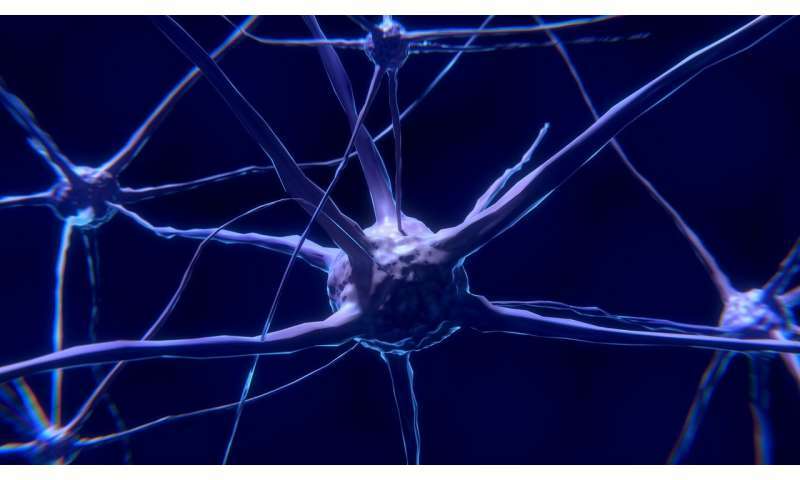 At the beginning of the study, the researchers used functional magnetic resonance imaging (fMRI) to measure a type of brain activity involving "resting state networks." Resting state networks consist of brain regions that preferentially connect with and communicate with each other when the brain is not performing any particular cognitive task. "We were interested in looking at the intrinsic functional architecture of the brain to see if we could detect early aberrant brain connectivity or networks in individuals who are in the clinically high-risk phase of the disorder," Whitfield-Gabrieli says. One year after the initial scans, 23 of the high-risk patients had experienced a psychotic episode and were diagnosed with schizophrenia. In those patients' scans, taken before their diagnosis, the researchers found a distinctive pattern of activity that was different from the healthy control subjects and the at-risk subjects who had not developed psychosis. For example, in most people, a part of the brain known as the superior temporal gyrus, which is involved in auditory processing, is highly connected to brain regions involved in sensory perception and motor control. However, in patients who developed psychosis, the superior temporal gyrus became more connected to limbic regions, which are involved in processing emotions. This could help explain why patients with schizophrenia usually experience auditory hallucinations, the researchers say. "That really gets at the heart of how we can translate this clinically, because we can get in earlier and earlier to identify aberrant networks in the hopes that we can do earlier interventions, and possibly even prevent psychiatric disorders," Whitfield-Gabrieli says.